Ethiopia’s “umbilical cord”, Djibouti, could soon feel the pinch. After Ethiopia lost its lifeline to the Red Sea following the independence of Eritrea a quarter century ago, Djibouti has been land-locked Ethiopia’s gateway to the outside world. The International Monetary Fund ranks Ethiopia as Africa’s fastest-growing economy, and its ruling Ethiopian People’s Revolutionary Democratic Front (EPRDF), in power since the loss of the Eritrean ports of Assab and Massawa, prioritises export-led industrial growth. It depends on Djibouti, which channels 95% of its cargo and does most of the staffing for Ethiopian export containers. 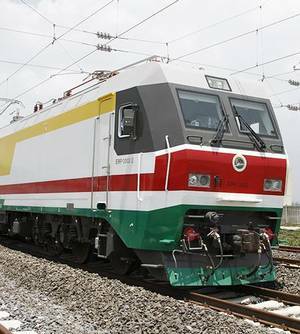 However, Ethiopia is now planning to diversify its seaward and inland transport, which could cut payments to Djibouti. Up to 80% of Ethiopia’s cargoes could be diverted through the ports of other neighbours, Sudan and Somaliland, once fully operational for Ethiopian use, Roba Megerssa Akawak, CEO of Ethiopian Shipping & Logistics Service Enterprise (ESLSE), told this reporter. The central bank doesn’t make Ethiopia’s foreign exchange reserves, its lifeline to the outside world, public. The IMF says Ethiopia held reserves of $3.4 billion by June-end last year, enough to cover just under two months of imports. Annual reports for Ethiopia’s state enterprises aren’t typically public documents, but this reporter was able to review a copy of ESLSE’s. The monopoly forms Ethiopia’s spine in terms of facilitating foreign exchange generating exports. Yet, it needed $472.13 million more than allocated to fulfil its operating payments in July, the start of Ethiopia’s fiscal year. This included $169.9 million to pay Djibouti for clearance services and $171.1 million to charter vessels to supplement the nine ships ESLSE operates, in part to ship to the Indian subcontinent and the Far East. ELSE delayed some payments because some of its customers paid it through the state-owned the Commercial Bank of Ethiopia, which controls over half the banking sector. “We usually consider that we have this amount at the bank, but when you request, there is a limitation in foreign-exchange withdrawal,” Mr. Roba said. The government has now arrested senior ESLSE officials, including three of its deputy CEOs, for alleged corruption as part of the ruling party’s campaign to strike “tigers and flies”, supported by the Chinese Communist Party. “A huge amount of our currency is with the Commercial Bank,” said Mr. Roba. The state bank doesn’t process foreign exchange through Rotterdam in the Netherlands like other banks in Ethiopia do and as the central bank requires, according to Mr. Roba and ESLSE’s annual report. The challenge is a “shortage” of hard currency, especially last year, and the bank diverts the currency to expenditures the government deems “more important,” he added.